In one pot, cook the rice noodles (following packet instructions) and then drain the water. In another pot, bring 4 1/2 cups water to a boil and then add in the paste. Bring to the boil and strain all the scum that may have formed on the surface of the broth. 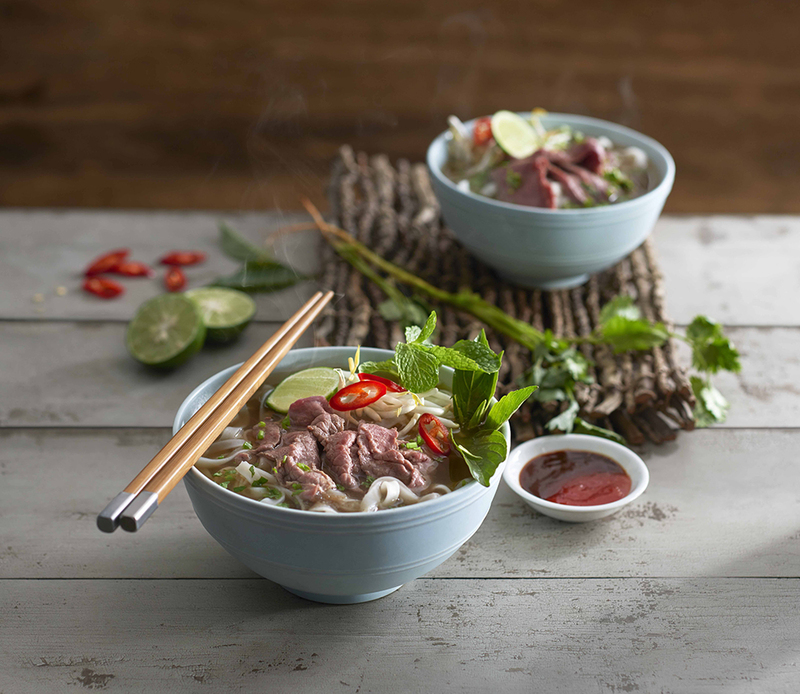 Assemble the pho by arranging the noodles, bean sprouts, remaining beef slices (125g), coriander leaves and red chiilli into a (ceramic) bowl. Pour in the boiling pho broth, serve garnished with mint, basil & lime and diipping sauce as a side.